Holding a pen will do . . . I knew instantly that it wasn’t a good thing. If my 11-year-old would’ve done that, I would know that she was going to show me something beautiful. But my 2-year-old? Here’s where I keep my nice, archival, acid-free pens. Translation: Mom’s pens, don’t touch! My 2-year-old hasn’t learned that yet, obviously. I didn’t realize he already knew how to unzip things. Wait, I take that back. I knew he knew how to unzip things, I just didn’t think he would dare go as far as to unzip my pens. My pens. But he did. What’s a mother to do? Ah ha! I have a solution. I simply added one of these babies to my pen pouch. Problem solved! Now, even if he figures out how to undo a safety-pin, I will hopefully have realized that he’s been quiet for way too long, go find him and stop him before he actually gets it off and unzips my pen pouch. If I don’t realize that he’s been quiet for too long or simply choose to ignore that he’s been quiet for too long, then I suppose I totally deserve what I get. 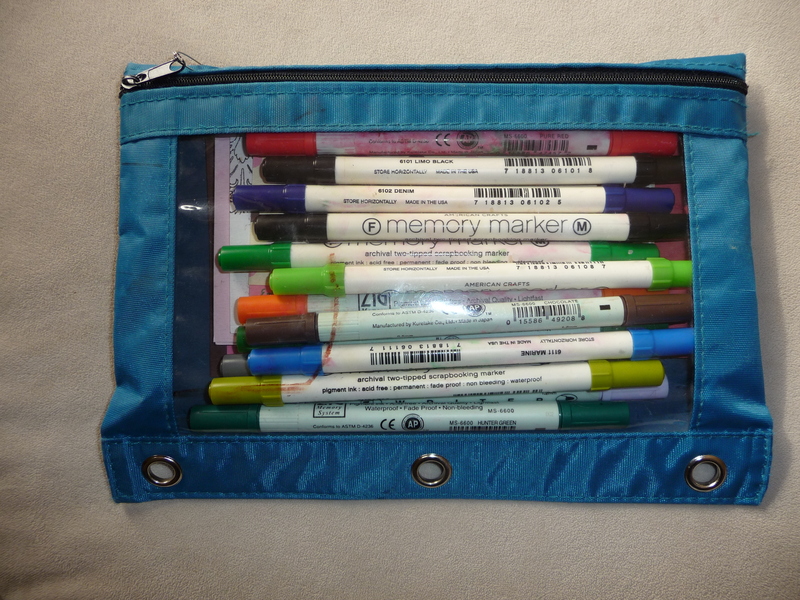 This entry was posted in Organizing and tagged pen pouch, safety-pin. Bookmark the permalink. 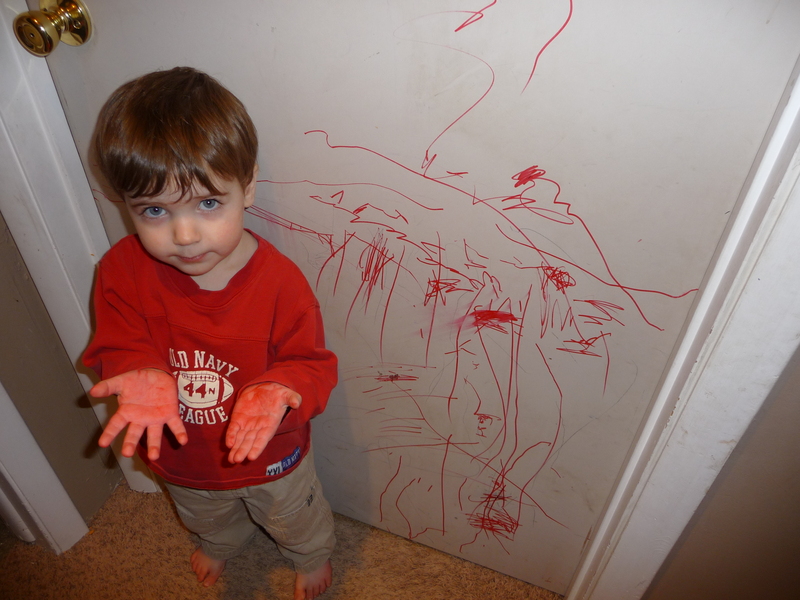 So – do your acid-free pens wash off walls??!! Or do you have to paint over your budding Jackson Pollack’s masterpiece/ Good luck! You know, I haven’t even had a chance to try! But I’m pretty sure I can get it off. I’ll let you know. Now if I could just figure out how to make money off of this like Jackson Pollack! Well, at least you can hope, when he and the others are grown up they’ll take care of you in your old age!?! Wait! 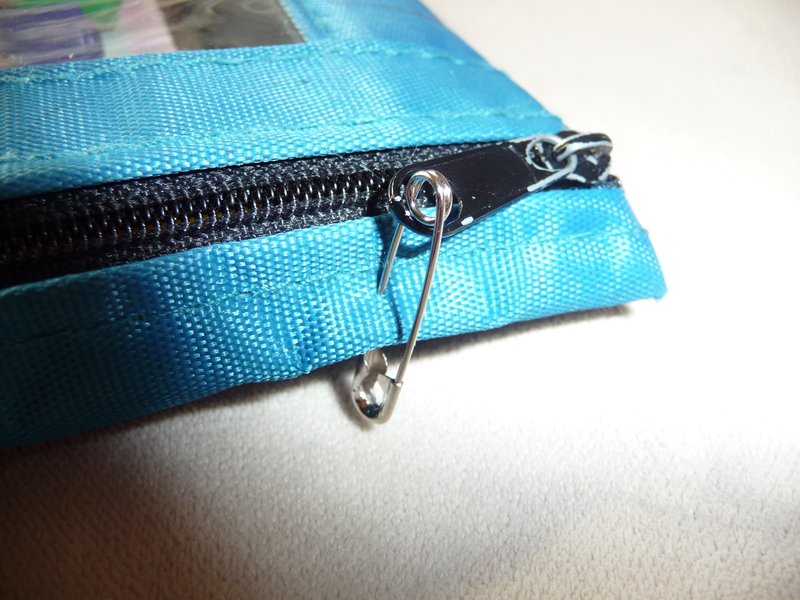 pin the pin down the side of the pouch!! The way you’ve got it gives him at least two inches to get pens out!! Good luck getting that ink out. anything archival is going to be permanent… and magic eraser will take the paint right off. Let us know if you do. i could use tips. Thank you. I did that & now it’s for sure Ian-proof! I’ll let you know how I get the ink out.